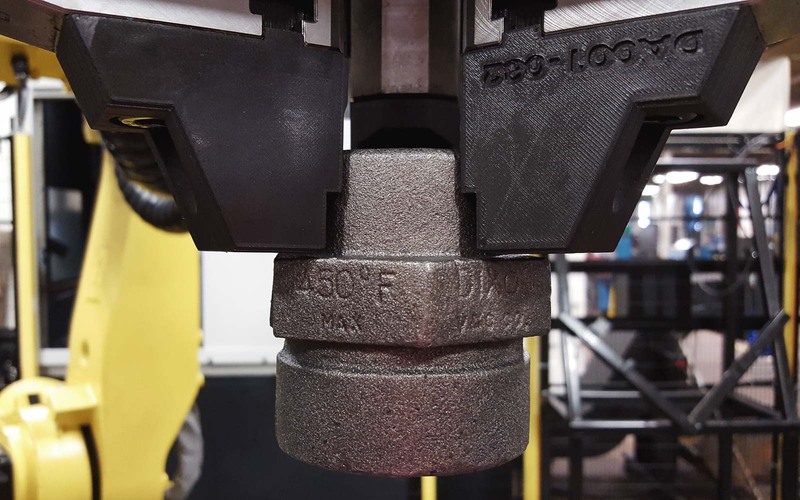 Learn about how 3D printing is becoming a common method for rapidly manufacturing cost effective grips, jigs and fixtures. With many manufacturing companies constantly working to improve productivity and lower costs, lean manufacturing techniques such as the implementation of grips, jigs and fixtures in a production line help achieve these goals. The high level of customization and complexity that AM allows for in a design coupled with the speed and accuracy that parts can be made, make it an ideal solution for producing grips, jigs and fixtures. 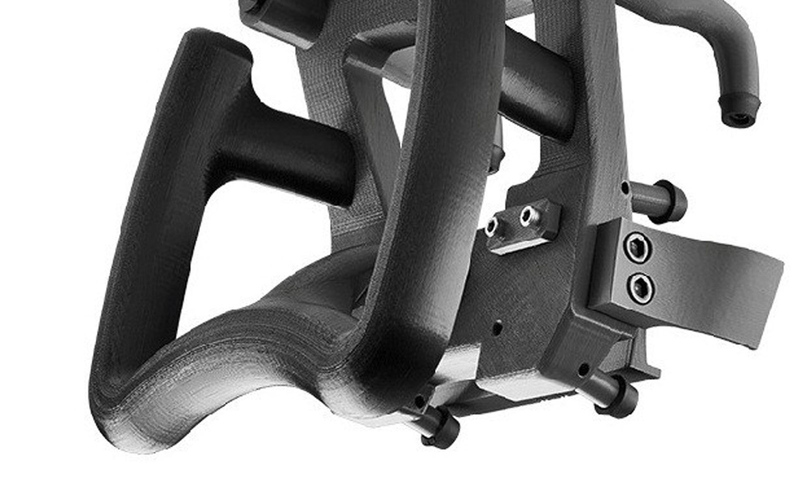 This article will discuss the benefits of 3D printing grips, jigs and fixtures and present common applications where 3D printing has been successfully implemented. This document will also offer several design rules for engineers to follow when designing grips, jigs and fixtures to be manufactured via 3D printing. Grips, jigs and fixtures are workpieces used to aid in the machining, positioning and assembly of parts in many facets of manufacturing. Grips, jigs and fixtures can be made from a range of materials (typically steel or aluminium) and are CNC machined to a high tolerance to allow a part to accurately locate into a desired position. Jigs and fixtures can also include attachments that allow the part to be secured in place. The high level of customisation and accuracy required for grips, jigs and fixtures usually result in long production lead times. Grips: The part of an automation process that is in contact with the workpiece typically used to transfer or orientate the part. These are often custom designed to match a parts geometry. Jigs: Holds the workpiece in place and also guides the cutting tool (e.g. a drill jig used for a guiding drill bit into the correct spot). Jigs are typically not attached to the machine and can be easily manipulated to align with the cutting tool. Accuracy of part does not depend on operator. Fixtures: Locates, holds and supports the workpiece securely as machining or assembly takes place (a vice is a simple fixture). Machining fixtures are generally secured to the machine to withstand the large machining forces the part is subjected to. The accuracy of part still depends on the operator or assembler. Jigs are typically made of very hard materials as they must guide a tool to a specific location. Considering this and the materials that are most commonly used in 3D printing, jigs will not be discussed in this article. The main benefit of 3D printed is the reduction in cost. The majority of savings come from the reduction in high machining costs. Typically a grip or fixture would be sent away to be machined by a highly skilled operator on a CNC machine over a number of days. With 3D printing, once the design of a 3D model is complete the file is sent electronically to the nearest printer, quickly analysed and printed on machine that requires very little human interference. Grips and jigs made via 3D printing are also produced with much cheaper materials compared to traditional grips and fixtures further reducing the cost. The other main benefit of 3D printed grips and fixtures is the speed at which they can be produced. Machining of complex metal geometries takes significant planning and highly skilled CAM designers and machine operations. This can result in the lead time for CNC machining taking days or even weeks before a part is completed. By using 3D printing to replace an aluminium assembly tool (see image below), a well-known car manufacturer was able to cut lead time by 92% from 18 days to 1.5 days. 3D printing offers a vast range of materials over a range of technologies. Engineering material properties such as chemical resistance, flame retardancy, heat resistance and UV stability are now widely available in the 3D printing industry. Parts can be produced or finished in many colours and surface finishes. The polymeric materials used in 3D printing also mean that damage to parts (that come in contact with the grip or fixture) is limited during handling and assembly when compared to more traditional metal fixtures. Grips and fixtures are regularly manipulated by workers. The majority of the materials used in 3D printing are lighter than aluminium reducing the load on workers and improving safety. Industrial FDM parts are not printed solid but rather filled with infill further reducing the weight of parts. The speed that 3D printing can produce parts gives designers much more freedom to optimise a design through several iterations. 3D printing technologies also allow for complex and ergonomic designs to easily be produced improving worker interaction and comfort. Several 3D printing technologies are able to produce to a high level of accuracy (Industrial FDM - ±0.2 mm, SLA - ±0.05 mm and SLS - ±0.1 mm). SLA and SLS can also produce fine and intricate details as well as functional connections like snap fits and interlocking features. Industrial FDM allows for a large build size and uses a range of engineering materials (including nylon and PEEK). Very cost effective compared to traditional manufacturing methods and one of the faster methods of 3D printing. SLS produces wear and chemical resistant parts at a high accuracy (± 0.1 mm) from sintered nylon with no need for support and very few design constraints. Industrial FDM is able to produce large, lightweight parts. They ability to produce threaded holes means parts can be assembled together. SLA components are produced with a photopolymer resin and allow for a high level of detail and accuracy (± 0.05 mm). There are a range of engineering resins available with properties to suit all applications. 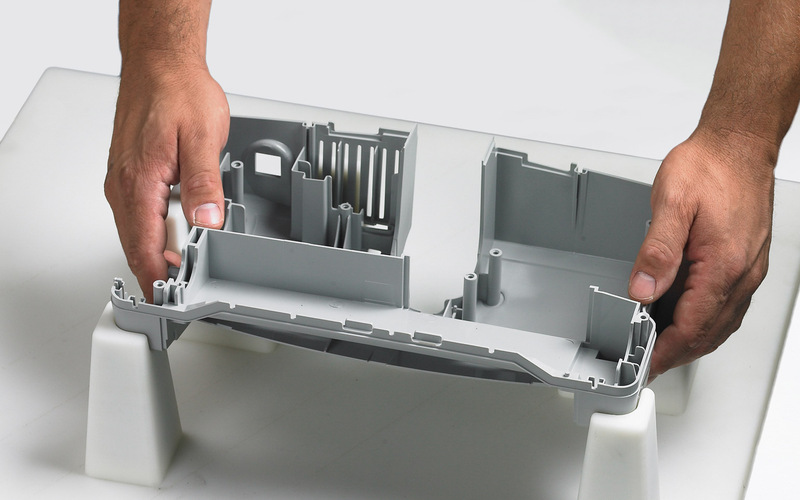 While SLA build volume is typically much smaller than industrial FDM or SLS, SLA parts are can be printed as attachments to larger universal connections. SLA is perfect for fine details where clearance and fit are important. Dixon Valve’s US manufacturing facility in Maryland, USA, deals with thousands of different valves, fittings, and gauges. Each product line requires custom equipment, including tooling and grips to hold specific parts efficiently. To reduce cost and save time Dixon Valve make use of robotic arms in production line cells for part transfers. The custom grips attached to the end of each robotic arm used on the line require high strength, need to be user friendly and safe, have chemical resistance due to the working environment and wear resistance from repeated use. After comparing traditional manufacturing techniques to 3D printing options a set of Onyx jaws (printed on a Markforged printer) were designed and printed for the end of each robotic arm. The time and cost savings are summarized in the table below.